Still reeling from his sister’s suicide, Shane (Andrew Martin) dreams of finally getting away from his small Native community in Northern Ontario, and going to university in Toronto with his secret boyfriend David (Harley Legarde-Beacham). But his depressed mother (Jennifer Podemski), dwindling money and being forced to hide his sexuality in the guise of a relationship with Tara (Mary Galloway), are all taking their toll on him, and threaten to drastically effect his future. Any more amateur signs of Fire Song being a first feature are easily forgiven because of the important and very topical messages that the film has to offer. The story poignantly deals with timely issues of suicide among First Nations youth, and acceptance of being “two-spirited” within a more traditional community. 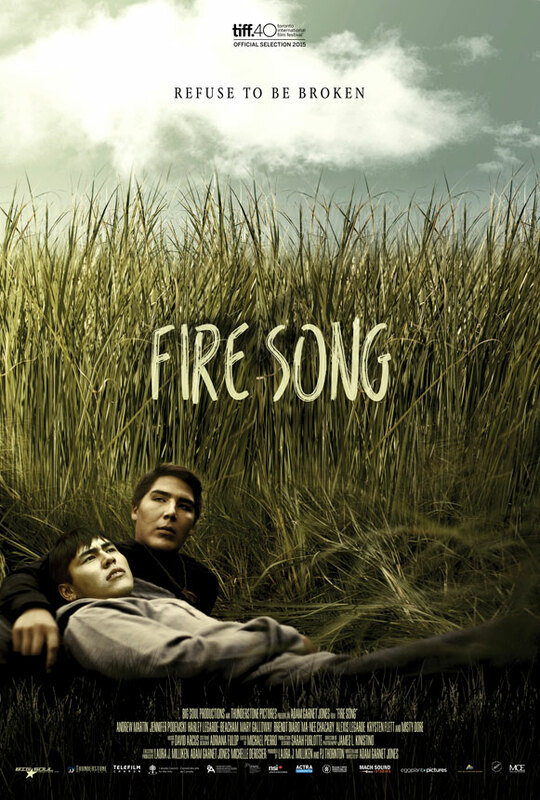 Anchored by a moving and emotionally involving performance from newcomer Andrew Martin, as well as some beautiful cinematography, Fire Song is a simmering and quietly affective drama about characters struggling to break free of the seemingly endless cycle of poverty and tragedy that make up their lives. Fire Song is now playing in limited release at the Carlton Cinema in Toronto.